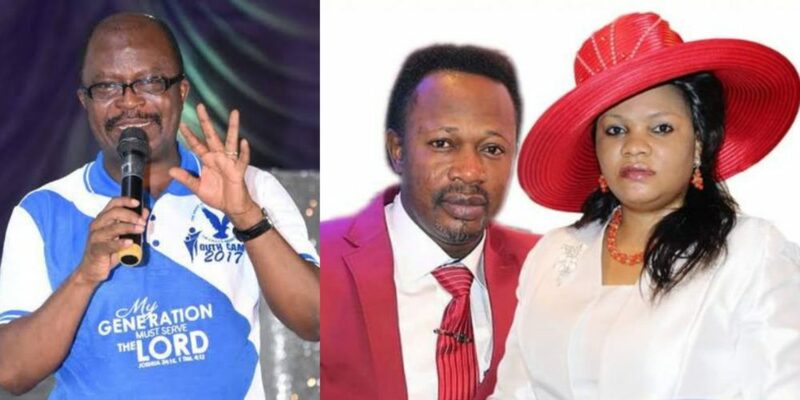 Moses Alu, the pastor in charge of Bride Assembly in Lagos, criticized Abuja-based preacher Joshua Iginla for his unfaithful confession that he claimed to be his wife for 13 years and had brought him to divorce. Reacting to the confession, Pastor Alu said Tuesday in a religious program that Pastor Iginla was only deceiving his followers, saying that he “can bewitch his members but can not bewitch those who know the Christian faith”. He said that Iginla had no remorse but had only come to humiliate his wife because she refused to cover her own sin. Alu said: “A pastor came to Abuja and said that he was confessing.” At the end of these confessions, he told his followers that he was divorcing his wife. the difference between him, Benny Hinn and Oyakhilome. “Oyakhilome came on the air and said that the woman wanted a divorce, but he did not want it because the Bible does not allow it.” Benny Hinn Then he said that he needed help . “Listen to Iginla, go back with your wife, and to start with Iginla, you did not confess.This was not a confession.There ‘s no posture d & # 39; a contrite spirit There is no posture of a repentant heart You moved from left to right in the same way that you preach sermons You can not take a stand when you want to do a confession. “You can bewitch your members, but you can not bewitch those of us who know the Christian faith. “I commit sin without problem, I search for what you call a confession, you have been arrogant in your presentation of your confession. “You said you do not confess, because when you’re married, you’re not ready to cover them.The Bible says that it will cover sin will not prosper. “I read comments from people who say that he is a humble man of God.Let me tell you that when you commit a sin, it is against you that you have sinned that you are going to confess. have committed adultery, does this church need to know it? You have broken your vows of marriage with your wife.You must leave before your wife. “Listen to Iginla, instead of confessing the sin you’ve committed against your wife, you’ve gone to open the door, is it your business to say that, is it a confession? go out to throw your wife in. Because your wife will complain: ‘I want to finish you, you are in your arrogance.